Two of my biggest concerns about the mortgage mess involve the conduct of lawyers at every stage, from creating the toxic securities to foreclosing on homes, and that so far the major players haven't been held accountable for their actions in creating the crisis. Both concerns are neatly encapsulated by an enforcement action taken by the Securities and Exchange Commission at the end of last week. On Friday, the SEC announced it is taking administrative action against David M. Tamman, a partner at Greenberg Traurig, a major international law firm. (Or at least, he was a partner: His page on the firm's website has been removed.) The SEC is going after Tamman because it says he falsified a document that described securities he helped a client sell. That is, when the SEC asked Tamman for copies, it says he altered the real document and gave the SEC the fake. While that conduct is egregious -- and kudos to the SEC for going after him -- it's not that different than the ways many, many lawyers have behaved throughout this documentation debacle. For example, attorneys for multiple banks have been giving courts fraudulent documents in order to speed foreclosures, in many cases "robo-signing" the documents themselves. And consider the magnitude of the carelessness -- it seems at least like malpractice to me -- employed by the big firms involved in the securitization deals. TheIbanez decision in Massachusetts exposed the fact that the standard securitization deal violated a century of Massachusetts real estate law, and recently filed lawsuits against JPMorgan Chase (JPM) and Bank of America (BAC) hint at how far astray the big law firms went. And not just one firm -- the scale of the problems alleged in those cases suggest the problem was systemic. Consider that each deal involves multiple firms, and that the banks use different firms for different deals. Consider, too, that hundreds or thousands of such deals went down in recent years. The private placement of mortgage-backed securities -- meaning those that were sold only to "big boy" investors like pension funds -- would involve at a minimum one firm for the bank issuing the securities (and sometimes more) and at least one for the underwriter of the securities (and deals often have multiple underwriters, with counsel for each). And each firm would staff as many lawyers to the deal as they could get their clients to pay for. Finally, those big investors might have their counsel review the selling documents before they agreed to purchase, too. With all these high-priced lawyers representing each set of interests in every deal, how did nobody ever notice the Massachusetts law problem, for example? How come none of them saw that the mortgages were of much poorer quality than the securities sales documents promised? When I was at a law firm, I helped do a private-placement deal (not a securitization, I should note). We represented the issuer of the bonds, and so we prepared the document used to sell the securities to investors, the "offering memorandum." The due diligence involved was very thorough. We interviewed the executives, we reviewed tons of documents, we quizzed accountants, etc. In short, we went line by line through the offering memorandum and exhibits, and made sure everything was accurate and complied with applicable laws and regulations. That was our job. And not just ours; the underwriter's counsel did it, too. A false statement about something important to investors is securities fraud, after all, and both the issuer (our client) and the underwriters are potentially liable. 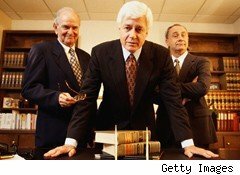 If the lawyers aren't reading the documents and ensuring that they're correct, what value do the lawyers add? To get the document to the point where everyone involved was confident in its accuracy took many conference calls, emails and drafts. And that deal was orders of magnitude simpler than a multistate mortgage securitization: Our client was simply one company issuing bonds based on its revenues. Shouldn't the due diligence for a much more complex deal be correspondingly more thorough? Failing to transfer the mortgages is not a small issue. Most relevant for the firms' clients, it hurts the securities they sold and makes the selling documents at least partly false. But the failure has broader consequences too: It affects the Massachusetts homeowners the trust foreclosed on, the new homeowners who bought those foreclosed properties and the title companies that insured the properties. One can only wonder what passed for due diligence in the Ibanez deal? And since that deal was typical, how many others involved similar "diligence"? What other basic issues did that diligence miss, which future litigation will uncover? Then there's the issue of loan quality. A former colleague of mine was involved in several mortgage securitization deals and confirmed that she reviewed all the loan files that came her way. She ensured that the documents were complete and that the loans were either of the promised quality or rejected. But she mentioned that she was so thorough because she liked that type of work, and she imagined that not everyone else was as careful at looking at the loan documents. (In every deal, she was responsible for only some of the loan files.) And in retrospect, it's obvious that not everyone was so careful, because if they were, such a high percentage of bad loans couldn't have been included in so many mortgage-backed securities. The Ibanez case highlighted a basic, non-due-diligence problem too -- one that, according to bankruptcy and legal-aid attorneys I speak with, is occurring across the country. The banks' lawyers can't produce complete sets of securitization contracts even after being given the specific opportunity to do so. In various cases, the banks have submitted unsigned drafts. They've submitted signed copies of some contracts, but not even drafts of others. And they've submitted contracts without their exhibits, like a list of the mortgages being securitized. Every corporate deal I was ever involved with resulted in "closing sets," a series of binders containing every contract with each exhibit. A complete closing set was distributed to every the player in the deal, and another was stored in the firm's archives. Not because it was my idea or anything, of course. It was standard practice. Again, a key part of the value lawyers add is keeping the documents in good order and accessible to their clients when needed. 1. Securitization deals were so carelessly done that, despite all the proper documents being created, closing sets don't exist. 2. Securitization deals were so carelessly done that not all the proper documents were created (such as lists of the mortgages involved) and so closing sets don't exist. 3. All the documents and closing sets are fine, and the big banks have grown so incompetent they can't give their foreclosure attorneys deal documents that they do have or could get from their securitization counsel. I'm not sure which of these is worst. I wonder when the malpractice suits will start. And when -- if ever -- the state bar associations will start reviewing the ethics of the attorneys involved. Because as tangled and complex as these mortgage securities cases are, with all their messy ramifications, one thing is clear: The lawyers involved shouldn't be allowed to dodge their share of the blame.